Town Square Property Management is privately owned and operated. 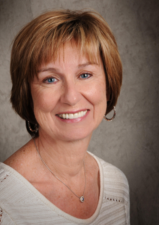 Pauline Webster is the owner and property manager of the firm, and has over 30 years of property management experience in this area. Moving to the Killeen/Fort Hood area in the mid 80's, her military family background makes it easy to relate to our unique and ever changing market. Town Square Property Management strives to direct all efforts to our property owners and tenants. We do our best to understand individual situations and concerns. Our desire is to satisfy needs and expectations in a timely and cost-effective manner. With Central Texas being one of the fastest growing areas in the nation, Town Square Property Management looks forward to continuing to be the property management company of choice. Providing full service and care to our clients and properties is our goal for the future.